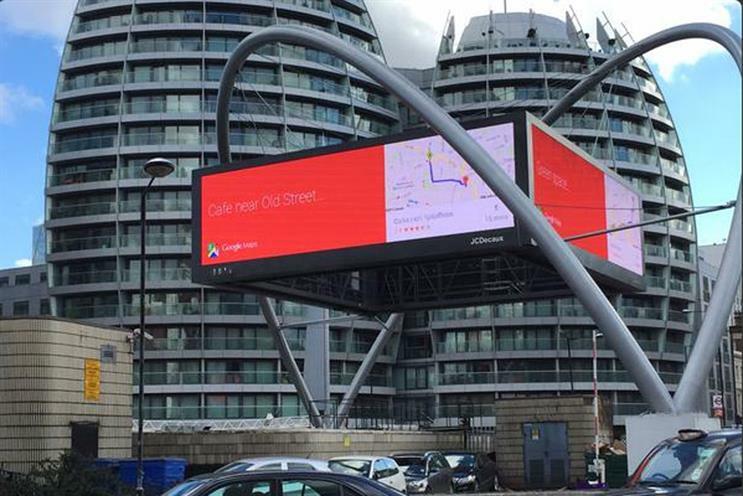 Google has launched a digital outdoor campaign at Silicon Roundabout in Old Street, London, featuring practical information for locals. The ads on JCDecaux's four large digital screens were created by R/GA London. They promote details about local cafes, updates on the weather and display Google Earth images of the city. They will also provide information on what people are searching for. OMD UK handled the media planning and buying. Google was unavailable for comment. R/GA confirmed it developed the digital displays in collaboration with Google but declined to comment further. Google's search overhaul: what does it mean for advertisers?